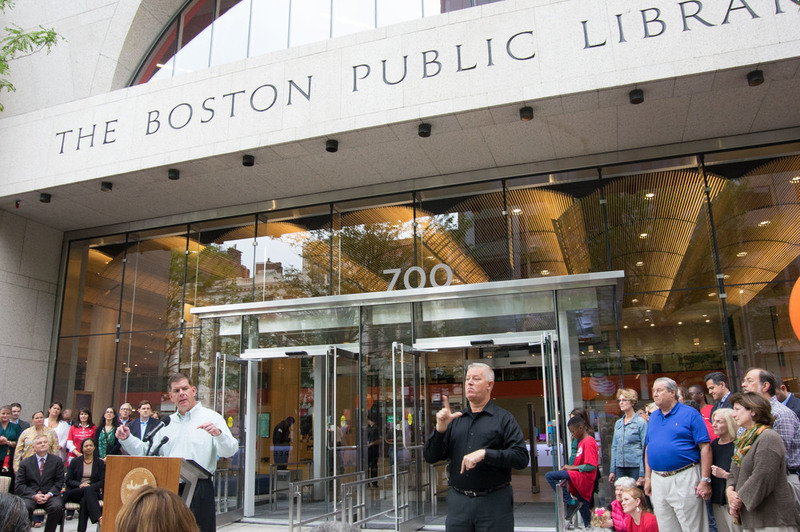 BPL Central Library Opens — The Green Engineer, Inc.
On Saturday, July 9th 2016, the Central Library of the Boston Public Library reopened its doors to the public with a grand celebration and ribbon cutting widely attended by the city's residents. 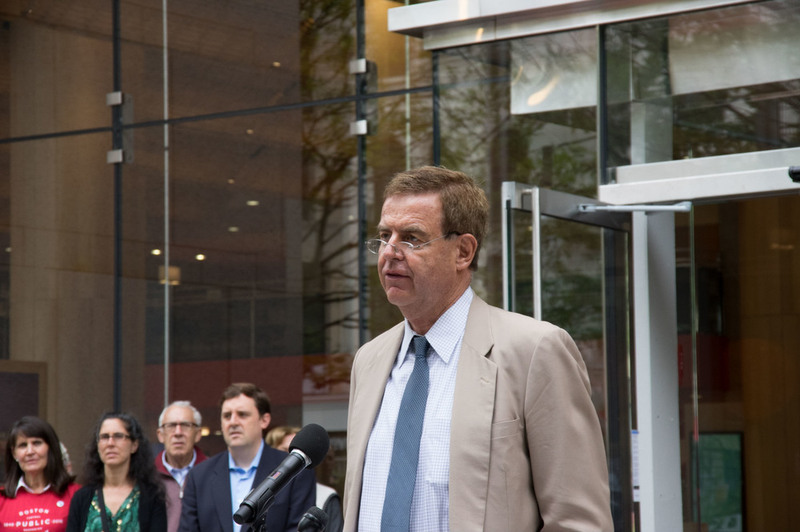 Spearheaded by the BPL and the City of Boston, the ceremony began with an opening by Robert Gallery, Chair of the BPL Board of Trustees, followed by Mayor Marty Walsh; David Leonard, President of the BPL; Tricia Lyons, of the Boston Public Facilities Department; and architect, William Rawn, of William Rawn Associates Architects. The City of Boston Poet Laureate, Danielle Legros Georges, concluded the talks with the recital of a poem. The grand reopening celebrated the completion of the second and final phase of renovations to the 1972 Phillip Johnson addition to the historic Mckim, Mead and White public library. The renovation of the Johnson wing consisted of 150,000 SF of renovation conducted in two phases. Once closed off from the outside by tinted windows and a series of granite screens or ‘plinths,’ the renovated Johnson building is now visually open to the street. 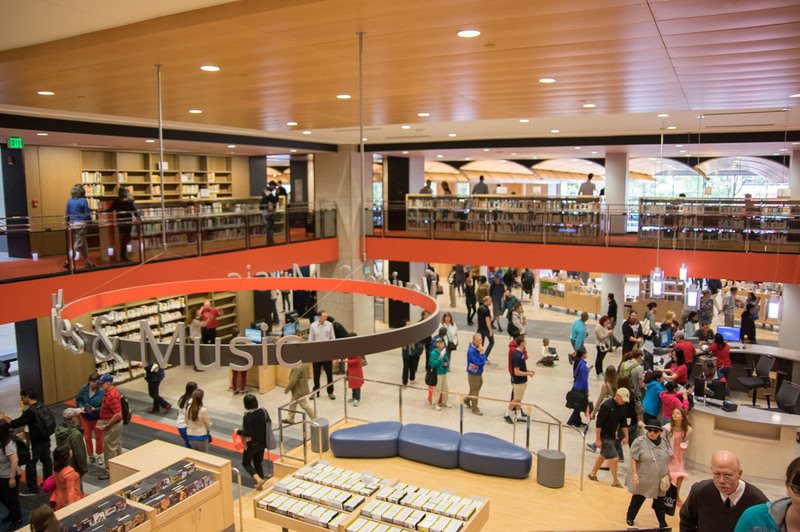 To read more about the Central Library Renovation project, please visit Central Library Renovation.